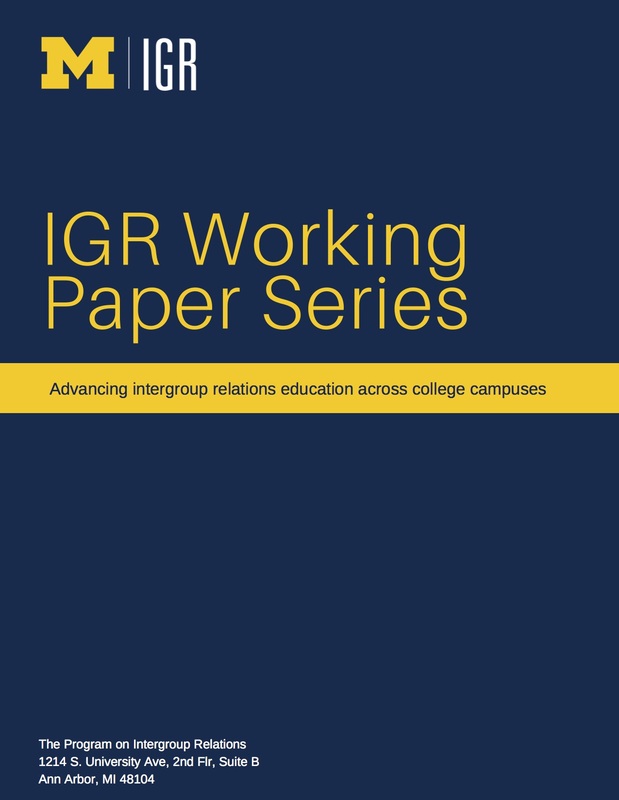 IGR’s Working Paper Series seeks to connect scholarship in social justice and dialogue-based education programs. The papers emphasize leading research and practice innovations conducted by leaders in the field of intergroup dialogue. All papers in the Series are subject to rigorous peer review by IGR faculty and staff. This paper traces the history of the University of Michigan’s Program on Intergroup Relations, from its inception in 1988 through 2106. It discusses the national and local factors that led to the initiation of this Program and the development of its unique form of social justice education – peer-facilitated, academically credited intergroup dialogues. As the Program has grown over time it has extended its core agenda in other educational projects such as CommmonGround, residence hall advisor training, outreach and partnership efforts with other academic and student life units, the Intergroup Dialogue National Institute that disseminates the Program’s vision and practices to other colleges and universities, and various research projects. This research paper examines some of the ways in which voice and power are shared in interracial dialogues. White students often report at the outset that they feel they have little to offer: they often are unaware of the meaning and impacts of their racial identity and are cautious about making racial mistakes or giving offense to students of color. This stance can result in uneven vulnerability and transparency in participation by different racial groups. Thus, students of color often report carrying both the opportunity and the burden of educating their white peers. Gallaway examines these dynamics and provides a number of useful suggestions for facilitators dealing with these issues. This paper explores the concept of ‘multipartiality’ in dialogic facilitation. The authors argue that facilitators need to think about and adopt varied techniques to balance power among participants as they deal with the issues of dominant narratives and power asymmetry. “Neutral’ facilitation fails to challenge the power that socially privileged groups bring to these settings, and facilitator ‘advocacy’ of lower power groups’ positions typically alienates others. Facilitator (and hopefully participant) skills of inquiry, counter-narrative generation, and empathy are described as techniques to effectively manage group dynamics and imbalances in social power and privilege.  CommonGround (CG) is part of The Program on Intergroup Relations (IGR)’s social justice education program at the University of Michigan. CG offers interactive workshops that are facilitated and coordinated by trained U-M undergraduate and graduate students to help promote social identity development and enhance group dynamics while building a community of social justice educators on campus. This paper focuses on the team that runs the CG program, its unique inclusive leadership structure, and how other programs can adopt and replicate this structure. It also highlights how the program model promotes student-centered leadership and embeds social justice into the program’s structures and operations. Two sample two workshop agendas are provided as examples of CG’s curriculum. People of color in historically white organizations continuously negotiate their racial identities. This negotiation may result in the form of assimilating and adapting to or actively challenging mainstream norms. In this study, thirteen student leaders of color were interviewed regarding their experiences in a historically white student organization. The results suggest that students of color undertake various behavioral strategies in order to operate effectively in the organization. Four behavioral strategies are described and analyzed: 1) Oppressed Oppressor, 2) Subservience, 3) Warrior, and 4) Cultural Split. A variety of practical applications for white students and higher education staff and faculty are recommended in the effort to create more inclusive and welcoming organizations. This research paper compares the experiences of white students participating in two types of racial dialogues: white racial identity (intragroup) dialogues and interracial (intergroup) dialogues containing white students and students of color. Issues of white students’ relative comfort and conflict take center stage, as they report experiencing both the positive and negative effects of cognitive/emotional dissonance and conflict in the dialogic learning process. Fear of offending others and the safety to take risks in self-disclosure, as well as a frustrated desire to learn about ‘others’, were more often reported by students in the white-only dialogues, while white students in the interracial dialogues more often reported tension/discomfort and cognitive/emotional learning about the lives of others. Both types of dialogues increased students’ learning about personal/structural white privilege and racism as a white problem.